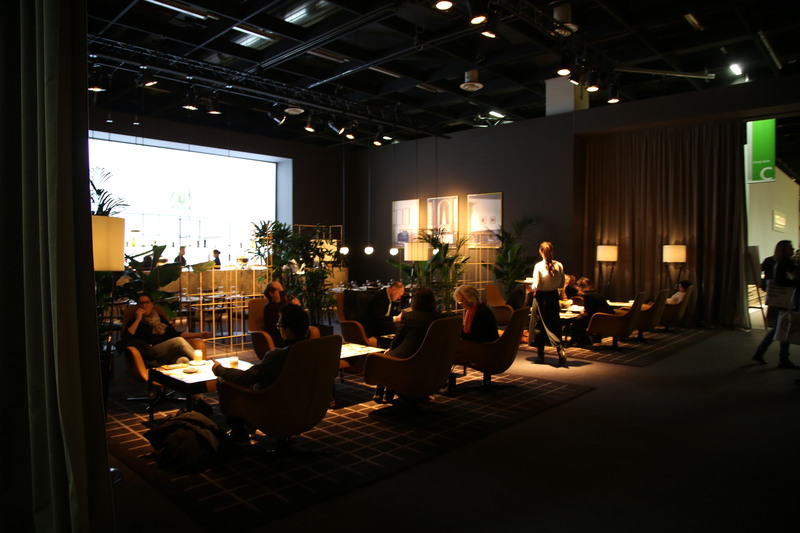 Italian luxury lifestyle home collection TRUSSARDI used the otherwise fairly unfashionable hall 10.1 during the furniture fair to show how an up-to-date cafe could look like. 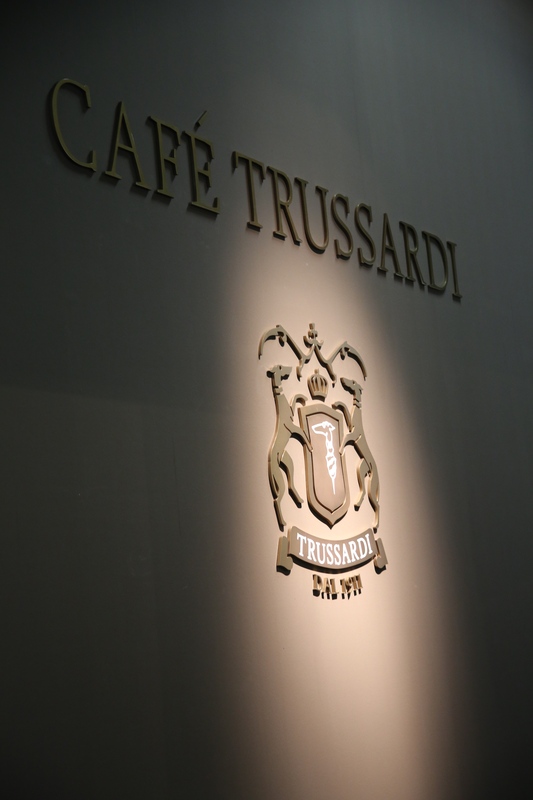 CAFE TRUSSARDI was a scarcely lit space filled with TRUSSARDI furniture und lightning products – designed by Carlo Colombo. 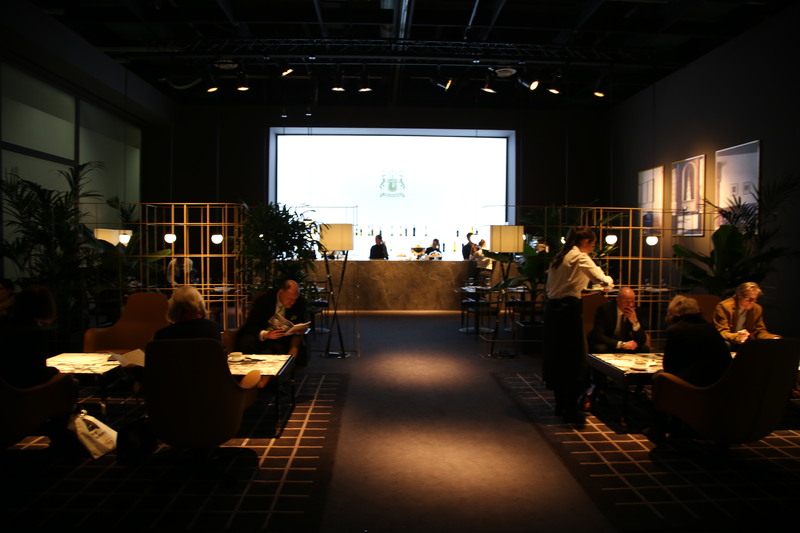 Sadly we did not have the time to test the menu, but the look was great and a nice break versus the rest of the furniture crowd. 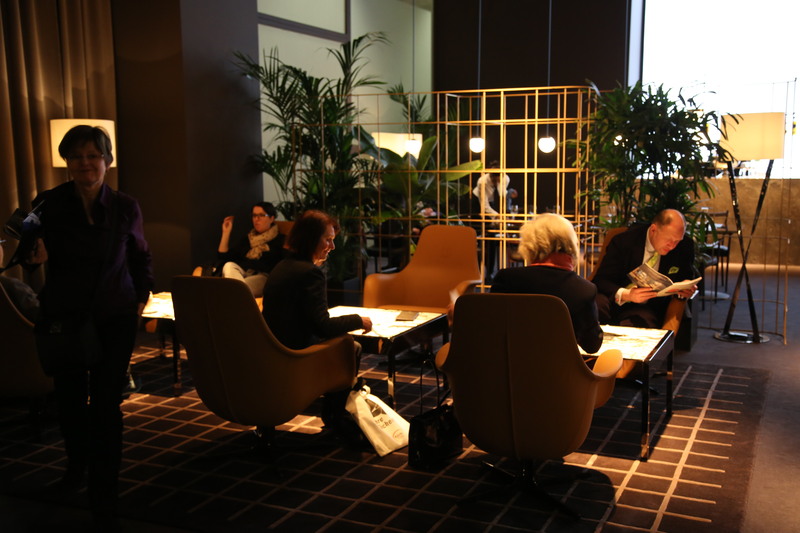 We wonder what the italian collegues have in store for Milano…. 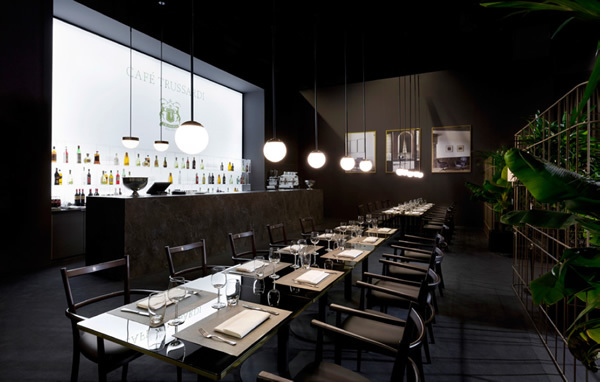 This entry was posted on January 29, 2015 by Chef de Cuisine in Fairs, Home Collections and tagged Accessories, Cafe, Cushions, Furniture, IMM 2015, Lightning, Trussardi, Trussardi Casa.